I am having issues with -shell-escape. I do not know really what this is, and how to apply it. Furthermore, I have read elsewhere that I is possibly dangerous to summon this command. Any help would be hugely appreciated. If I remove the above command then the typset completes, but the TMP markers in the graphic remain TMP1, TMP2 etc. 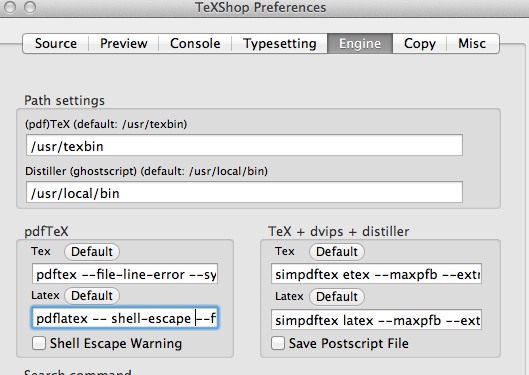 I am using TeXShop for Mac. Not the answer you're looking for? Browse other questions tagged pdftex eps shell-escape chemstyle or ask your own question.